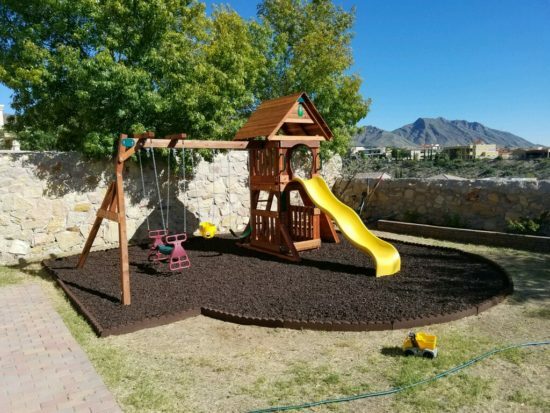 Swing set 1 is a Perfect Small Yard Swing Set! 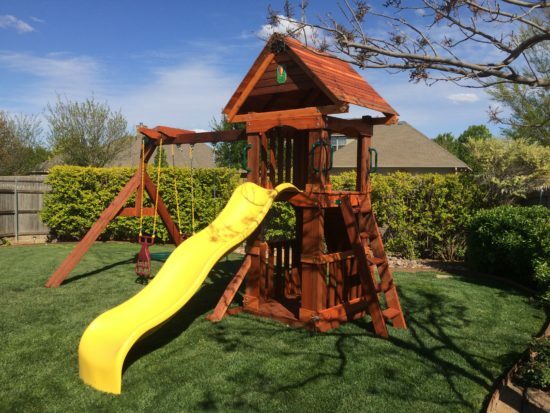 Swing Set One is shipped 80% Assembled . Assembly time should be around 3-4 Hours. 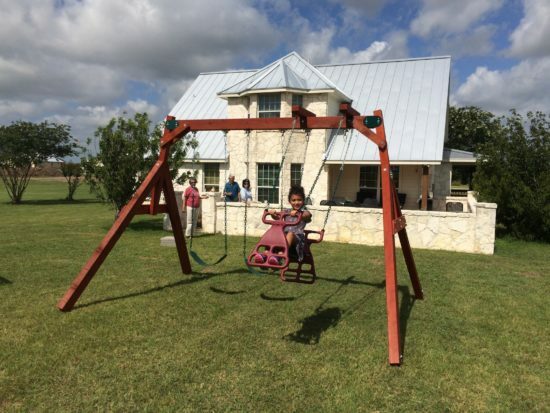 Your Wooden Swing Set can be Shipped any where in Texas, Oklahoma, New Mexico, at no charge. We can ship it to additional states at an extra Freight charge.